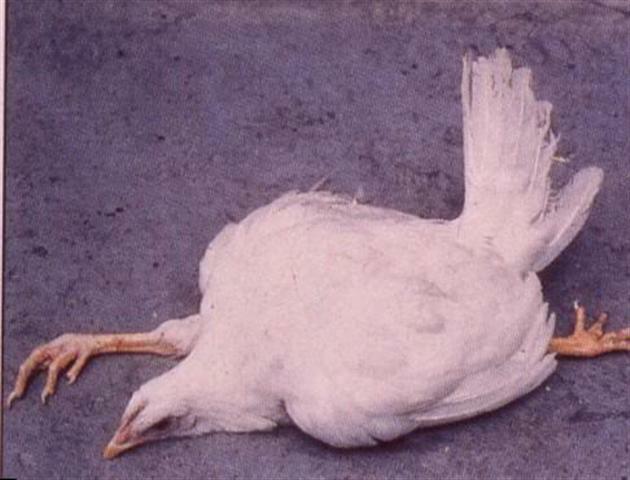 Prevention:Vaccinate chickens on day one with virus vaccine. Treatment: None. It is a cancer of the nervous system. General Signs:Symptoms are paralysis of the wings and legs with one leg stretched forward and the other backwards. Chickens lose weight till they die.